The modified Pixel launcher that worked with wide range of devices now comes with a few Android Oreo features. The modified pixel launcher claims to bring Android Oreo features on any Android device. From past few months, the tech giant Google has been working on the new version of its Android mobile operating system which is nicknamed Android O or 8. 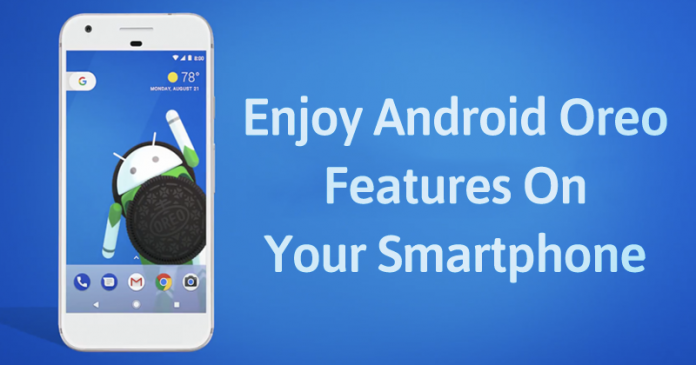 However, a few days ago Google had revealed the name of its latest version of Android mobile operating system Android 0, which is Android Oreo. Eligible devices like Google Pixel and Nexus have already started to receive the Android Oreo updates. Android O comes with several new features, bug fixes and improvements on the notification panel. Let me tell you, Google maintains a habit of keeping its launchers exclusive for its own hardware line. We can take a look at Pixel launcher which is available on Google Play Store to pixel device only. Well, installing the launcher through APK was an option, but not all features were intact. Now, the modified Pixel launcher that worked with wide range of devices now comes with a few Android Oreo features. So, Non-pixel and Nexus users can now taste the Android Oreo before it’s officially rolled out for them. The modified pixel launcher claims to bring Android Oreo features on any Android device. The version 2.1 has been developed by AmirZ and comes with several improvements. It brings features like colored notifications dots, ability to swipe down for notification panel from anywhere, modify icon shapes etc. Well, the installation file is not available in Google Play Store. However, you can grab the apk file from Github. So, what do you think about this? Share your views in the comment box below.